School children of all ages can develop a school phobia from preschool to high school. Early intervention is essential and parents have a major part in relieving the problem because professionals aren't usually at your house in the morning. If you have chosen to place your child in preschool because you want more stimulation and socialization for your child you may want to start at age 3. Starting earlier may lead to resistance because of normal separation anxiety at age 2. At that age, we wouldn't call it a phobia because the child has normal anxiety about being away from you and is better off being at home with a constant caretaker. If you are choosing this option because you are working, choose a different setting that is one on one at best and even less anxiety producing is if the caretaker is in your home. If you choose preschool for a three- or four-year-old, the three-year-old may still have too much separation anxiety to begin happily. If you're not under pressure to begin for work reasons, choose mommy and me type activities for 6 months for the socialization and learning gains and slowly work out with the other mothers taking a break and leaving your child with other familiar faces. During the fifth month take your child to visit a school (after you have decided which one you want) and spend an hour , with you playing and see if he gradually leaves your side and engages with others. If not, you may want to wait to age four. The idea is for school to be a happy place that feels safe and secure. Undue pressure when you're child is still working out his separation anxiety gains nothing but tears and disappointment. School feels like a scary not a welcoming place. If your child is four and continues to resist leaving you, stay for a while and help him get acclimated as you help him engage with other kids and a favorite toy. Also help him get attached to one particular caretaker who can then step in and you can leave without any drama. If that fails and your child resists preschool daily, seek professional help for him with play therapy and parental guidance for you to solve the problem. Now there are no choices. Kindergarten is a must. Separation anxiety can be lessened by helping your child attach to one particular person in the school who takes him to his classroom. This person ideally is also available during the day to check in and say hello until he feels familiar with his teacher and peers. It's very important for the parent to be gentle but firm that school is required, not a choice. Your firm tone will say a lot. No yelling, screaming or punishing is helpful. In fact it just raises everyone's anxiety. If you must use some rewards, make them small and then fade out of the picture. The rewards or candidly bribes show the child you mean what you say and it also shows that you are not feeling at all worried that he or she is going away from you to others. 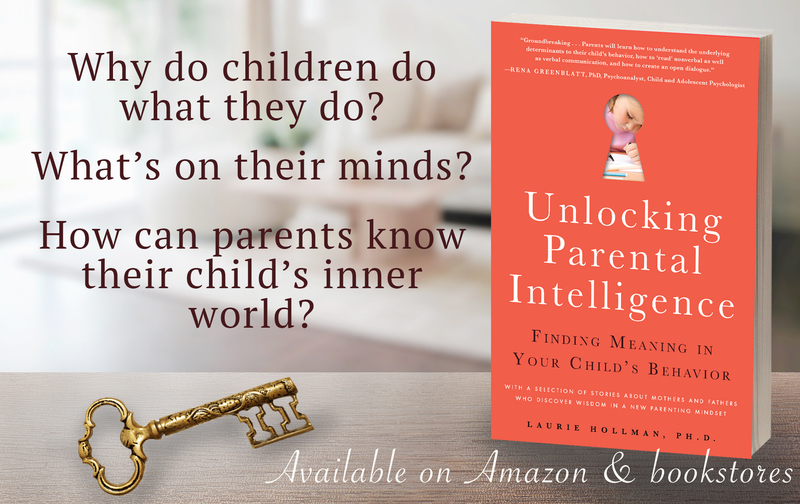 The child watches closely and absorbs your confidence in what you are asking her to do. If she sees you are matter-of-fact in your approach, her anxiety lessens because you are demonstrating there is nothing to be afraid of. If you have separation anxiety yourself this may be difficult, so seek a therapist right a way to help you work through your worries so the child does not absorb your tension and make it his own. If this approach doesn't work quickly, seek a professional child psychotherapist for your child who specializes in separation anxiety and phobias to intervene promptly. Do not allow your child to stay home from school even if they stay part of the day with the school counselor who is their "go-to" attachment person. In therapy the child may resist being alone with the therapist replaying leaving the parent. The professional will work with you to make this separation which will carry over into the school separations. In the extreme the therapist meets the child at the school in the morning with the parent driving to the school and helps with the transition . Eventually another transition is made that involves using the school bus but that takes time until the child is well grounded in his or her attendance. Clearly this is the most difficult of school phobias with the most underlying issues. If the child has been going to school regularly and gradually resists going, there are reasons that need to be uncovered while the child attends school. Once again not going to school for more than a day to give you time to talk with your child about what's going on. But not going is not an option depending on extreme circumstances. 1. The child is being bullied and you don't know about it. He feels threatened and may in fact be in danger. The school authorities need to be involved to stop the problem instantly. 3. Parents often need parental guidance by a therapist so they are reassured they are doing the right thing in setting limits on their teenager who resists leaving the house in the morning or visits the school nurse too often. It's painful to watch your child struggle, so you may need reassurance yourself that you are doing the right thing in firmly and lovingly insisting on going to school every day despite minor physical complaints that may continue (presuming they have been ruled out medically). 4. A child may have a break-up with a girl or boyfriend that shatters them emotionally making them want to avoid going to school. It's the parents and the therapist's job to help the teen tolerate the loss, work through their possible humiliation or sadness, but not use school avoidance to lessen their suffering. Avoidance is a common defense when one faces pain and rejection, but it is not effective. Alternative measures need to be learned to tolerate disappointments. 5. On the practical side, your child may have an incorrect placement in their school. They may be precociously intelligent or less able than their peers and are bored or disoriented much of the day. If they are prone to avoidance, they will rationalize that they can learn more on their own or want to be home schooled. Presuming you are not homeschooling, again, not going to school is not a choice. Early intervention is necessary and you are your child's best advocate. Have the child tested by a neuropsychologist and find the best learning environment for your child before a phobia is prominent. As you can see, most of what I've written is early prevention. If parents succumb to school avoidance for even a short time, the phobia rears its head full force and becomes much more difficult to change. Do not make this turn into a battle of wills. Then you have another problem that will spread beyond the phobia. Finding out the underlying issues is key but takes time and during that time school must be attended safely and securely. Children who are not attended to quickly can become withdrawn or aggressive. This is why immediate, kind, and caring intervention is necessary.